Bright dark amber color. Rustic aromas of leather saddle, dried bouquet, prune and dark chocolate cherry bon-bons, and brown sugar oatmeal with a round, vibrant, dryish medium-to-full body and a tingling, charming, medium-length maraschino cherry pit, honeycomb, chocolate malt, and mixed peppercorns and ginger finish. A expressive rye that will serve well as a rustic shooter or craft cocktail base. 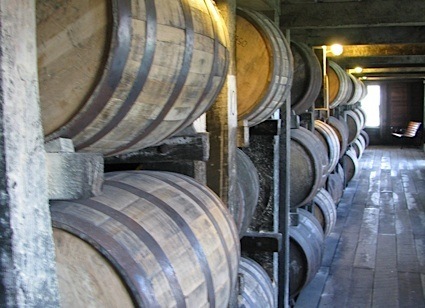 Bottom Line: A expressive rye that will serve well as a rustic shooter or craft cocktail base. 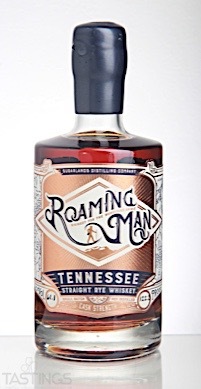 Roaming Man Tennessee Straight Rye Whiskey rating was calculated by tastings.com to be 92 points out of 100 on 9/7/2017. Please note that MSRP may have changed since the date of our review.